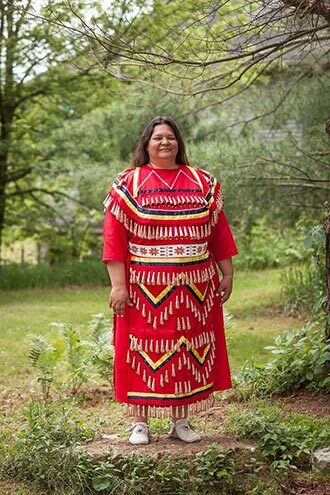 Dressed in traditional regalia, internationally-published, award-winning Ojibwa author and speaker, Kim Sigafus McIver will be presenting on the Native people who lived in the Midwest in the 1800’s. Her presentation will include oral traditions, daily life, and the planting of the Three Sisters: corn, beans, and squash. Drumming and singing, she will share a traditional lullaby with the audience and teach them a song. The audience will get the chance to learn some Native language and will be extended an invitation into a drum and rain stick circle. Her Native American fiction and non-fiction books will be available for sale after the program.